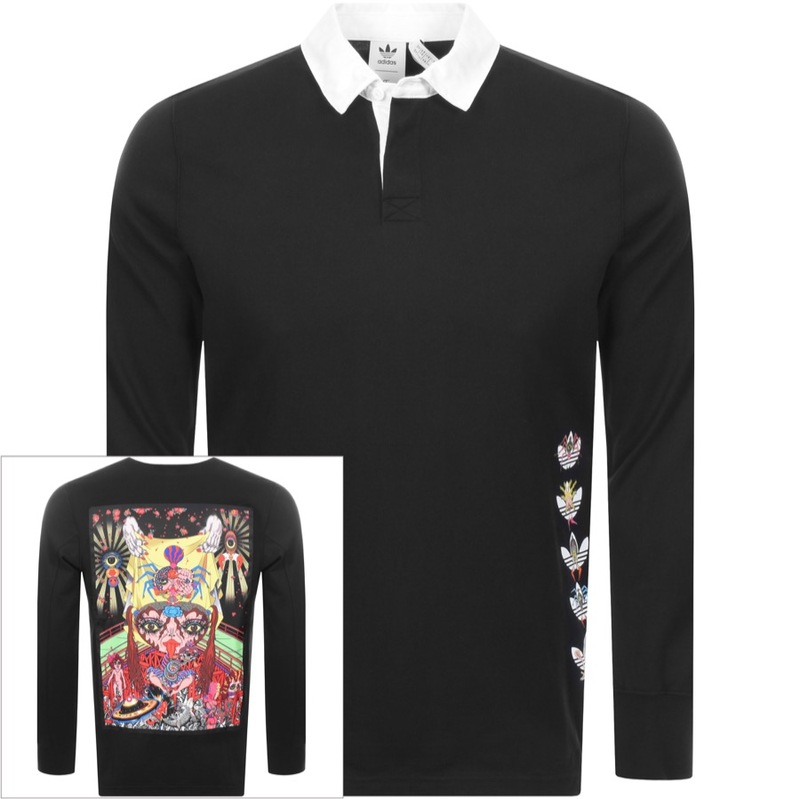 adidas Originals X Tanaami Long Sleeve Rugby Shirt In Black, In cllaberation with Keiichi Tanaami with pop art features. A weighted cotton jersey rugby style polo t shirt. A concealed white button fastening at the neck with visible top button. A pointed rugby style collar in contrasting white with ribbed cuffs on the long sleeves. The signature trefoil adidas logo with the artist motifs features on the left side in white, red, yellow and blue. An additional large graphic print features on the reverse in various colours. Top stitching detail in black. 100% Cotton. Part Of The Brand New Collection of Adidas T Shirts Live Online.